What is Annual Compliance for Limited Liability Partnership? Every limited liability partnership is required to maintain compliance as per Income Tax Act 1961, GST provisions and compliance as per Companies Act, 2013 and required to submit necessary return to appropriate authority. Why we need to do annual compliance for Limited Liability Partnership? 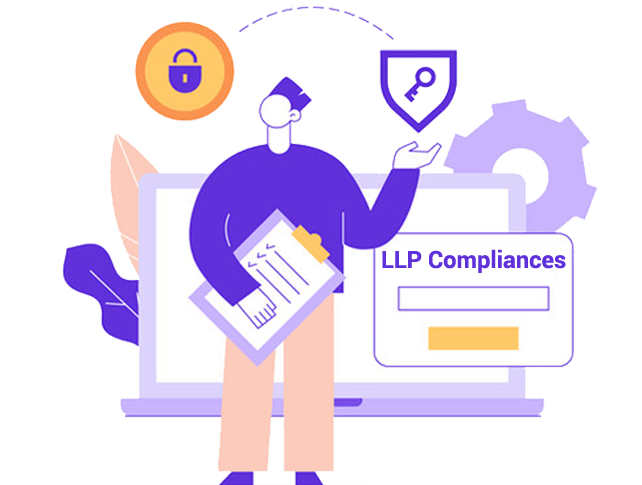 Every LLP intimate the department about their income and expenditure and other details of the company annually to the Income Tax department and Registrar of Companies. In case LLP fail to file the return then penalty will be imposed for LLP Form 11 and LLP Form 8 Rs. 100 per day per form and will applicable from after the due date till the date actual return will file. What are the forms required to be filed for Annual Compliances? Form 11 for Annual Return and Form 8 for Statement of Accounts are required to be filed for Annual compliances. What is the Due date to file forms? Form LLP 11 to be filed within 60 days from the closure of financial year and LLP has to close its financial year on 31st March, so last date for LLP to file Annual Return is 30th May and Form LLP 8 within 30 days from the end of 6 months of such financial year, so the due date to file form 8 for the financial year is 30th October.